Thinking about birthing. I know it's still a bit early but my mind has been mulling over my birthing options a lot over the last week or so. 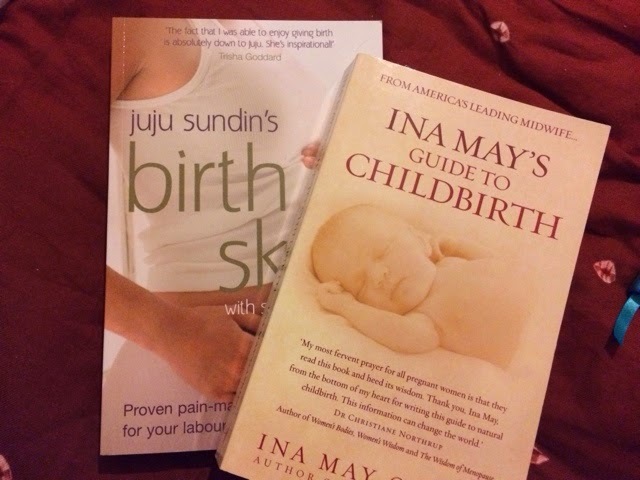 I ordered 2 new books from amazon last week, Juju Sundin's, Birth Skills: Proven pain-management techniques for your labour and birth , which I read in my last pregnancy and loved and Ina May's Guide to Childbirth by Ina May Gaskin, which I spied someone reading on the train recently and sparked my curiosity. Both are very much about natural, positive birth experiences. There were complications with Milo which meant I had to have an epidural. I don't really have any negative memories of his birth though (in fact I slept though most of it after the epidural), and I did feel I used the methods in Juju's book successfully up to that point. One thing I do know is, I hated the gas and air. So this time I think it will be an epidural or nothing. Unfortunately since I gave birth to Milo the cuts within the NHS have meant the main birth unit in Cheltenham has gone and has been replaced by a midwife led unit. This is not helping to make my decision an easier. If I want an epidural I must go to Gloucester, we don't drive and though there are buses, cabs are expensive and I doubt bus drivers or cabbies are all that keen on transporting labouring women. Of course any complications and we'll be at Gloucester anyway. Any complications and I'll no doubt be in overnight, a seemingly long way from my family. Overnighting in hospital was by far and away the worst bit of my whole experience last time, but knowing that Johnny was just a 10 minute walk away really helped. At the moment I think my best option will be to stay at home. I'll have the same care at home I would in the midwife led unit and any problems would result in the same result, an ambulance over to Gloucester. Milo could stay at home, I wouldn't feel pressured into having pain relief I didn't want and I hope I'd be more relaxed. It's still a long way off yet and hopefully it will all become more clear nearer the time, because at the moment its worrying me a lot and that certainly isn't remotely helpful.